Today, I have a downright peculiar sets of lyrics from the pen of one Jay Andrews, set to music by the Globe song-poem factory, assigned to Sammy Marshall (identified here as "Sonny Marshall"), and licensed out (or however that worked) to the Air label. On the better of the two sides we have "In-Law Blues", which contains the phrase I've alluded to above, "My mammy and my mammy-in-law", or parts thereof, several times. Really. Has anyone else ever expressed that relationship in that way...ever? "My mammy-in-law." Plus, it just rolls off the tongue, particularly when set to music. The story the song tells is prosaic, but the way it's expressed, lyrically and musically (this band should not be in the same state as a record identified as a "blues") make it stand out for me. I think my mouth dropped open while listening to this record for the first time. And is it just me, or does this 165 second number seem to go on forever. On the flip side is the primarily stultifying "Naughty Lady". Mr. Andrews lyrics suggest that he was going for suave sophistication, and Sammy (er, Sonny) and the band certainly treat it like that was the intent, although they are not remotely successful in doing so. Lyrics like "can one so blasé feel such a thrill" and "Lady.... please", certainly don't help. 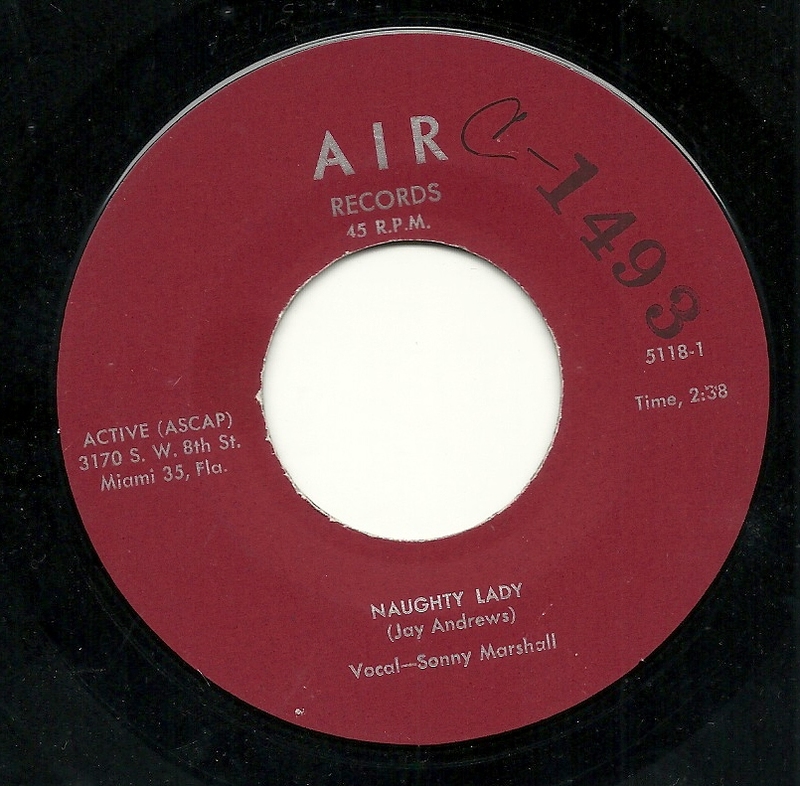 I will admit that when he sang "Naughty lady, I'm on to you", I was hoping for the next line to be "Lady.... let's screw". That would have pepped things up. Alas, no. "In Law Blues" is a real fine recording. Could be one of the bestest of all times! I never say that lightly. "Naughty" isn't half bad either. It could become on of my favourites, as I drink & dream myself to a big sleep. Seems like the writer wanted to explore two styles of music, neither of which he really was conversational in...as a result you have these ridic lyrics. "Lady...what's new?" is among the least convincing 'pay off' lines that a supposedly sultry song could have. I am impressed with the sound of the tracks, though, and with Sammy's full investment in giving the customer what he wanted.